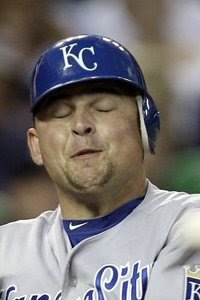 I don't know if anyone noticed, but The Kansas City Royals 2010 season has, mercifully, come to an end. 67 wins, 95 losses - uggh. On the bright side, that is two more wins than last year. At this rate of improvement, we can expect to make the playoffs in about 13 years (actually, I would take the playoffs in 13 years). As usual, the Royals finished the season with a bang giving false hope to fans for a turnaround next season winning 7 of their last 10 games. On top of lame Free Agent signings, now we have a disgruntled young pitching ace who may or may not be traded in the off season depending on who you ask. Greinke has recently, publicly shared his discontent with losing. He's bored - join the club. I think it would be wise to deal Zack now and get a couple of players that make an impact before Greinke has a MAJOR mental meltdown. We can have a going away party like we did for another local sports team star when he left town. All these years of losing could lead to fan apathy, but that is not really the case in Kansas City. This town wants to love their Royals and they do keep showing up to the K with surprising regularity. The Royals averaged over 20,000 fans per game, though near the bottom of the majors, that is only 3,000 less per contest than the Tampa Bay Devil Rays who have the best record in the American League. Although maybe that says more about Rays fans than it does Royals fans. Oh well - we do have the only undefeated NFL team in the league (until Sunday anyway). I wonder if the reason the Royals owners don't spend the big bucks like other MLB teams is because the fans keep showing up no matter what just like you mentioned. I think that the Royals and the Chiefs are run more like a business than a team, as long as the KC fans keep packing the stadiums, why spend money and improve the team?